Jesus’ 3 ½ year public ministry comes alive in this vibrant, illuminating retelling by Pastor Jack Abeelen, a uniquely gifted Bible teacher. In The Jesus Chronicles, the Messiah’s sermons, healings, confrontations with Roman and religious authorities, and interactions with His disciples and the common people unfold chronologically, drawing the reader into the ancient world as if it were today. 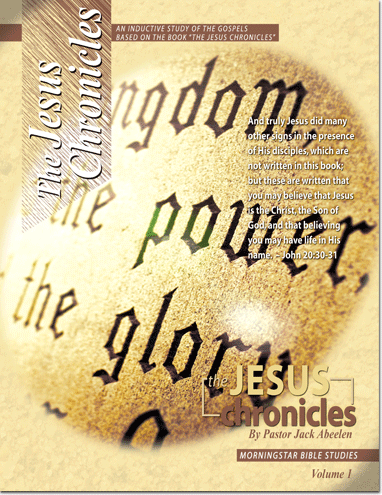 We are offering this month the Jesus Chronicles Special, which will include Pastor Jack’s book The Jesus Chronicles, the MP3 of all 156 studies, and the two Inductive Bible Studies all on The Jesus Chronicles. Hurry this price won't last. 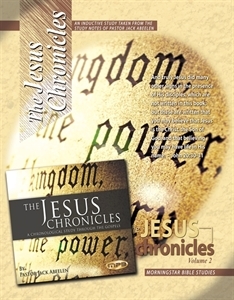 This study guide is part one of a two part Inductive Bible Study series based on the book The Jesus Chronicles by Pastor Jack Abeelen. Click Here For Kindle Reader. Click Here For iBooks Reader. Click Here For Nook Reader. 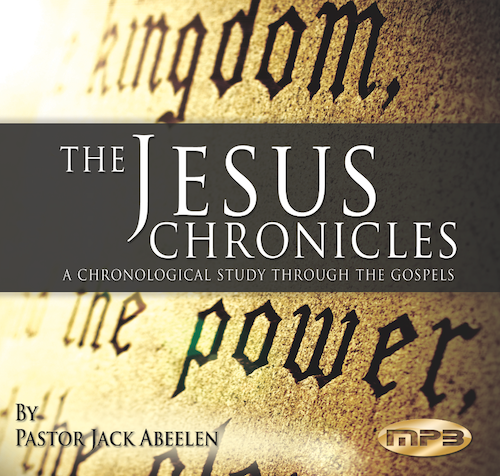 This study guide is part two of a two part Inductive Bible Study series based on the book The Jesus Chronicles by Pastor Jack Abeelen. This collection of MP3 studies follow the life and ministry of Jesus chronologically through the four Gospels. On this 2-CD album there are 156 studies that can be listened to on a personal computer, an MP3 compatible CD player, or downloaded to an MP3 player.